The Student Nonviolent Coordinating Committee (SNCC) was an organization established during the Civil Rights Movement. 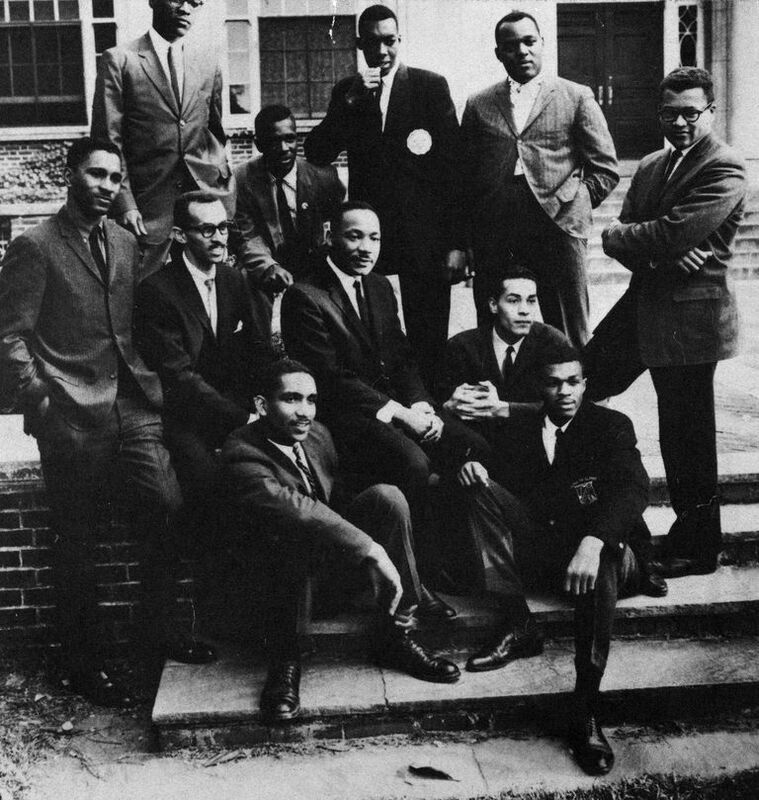 Established in April 1960 at Shaw University, SNCC organizers worked throughout the South planning sit-ins, voter registration drives and protests. In 1960, Ella Baker, an established civil rights activist and an official with the Southern Christian Leadership Conference (SCLC), organized African American college students who had been involved in the 1960 sit-ins to a meeting at Shaw University. In opposition to Martin Luther King Jr., who wanted the students to work with the SCLC, Baker encouraged the attendees to create an independent organization. James Lawson, a theology student at Vanderbilt University, wrote a mission statement "we affirm the philosophical or religious ideals of nonviolence as the foundation of our purpose, the presupposition of our faith, and the manner of our action. Nonviolence, growing from Judaic-Christian traditions, seeks a social order of justice permeated by love." That same year, Marion Barry was elected as SNCC's first chairman. By 1961, SNCC was gaining prominence as a civil rights organization. That year, the group galvanized students and civil rights activists to participate in the Freedom Rides to investigate how effectively the Interstate Commerce Commission was enforcing the Supreme Court ruling of equal treatment in interstate travel. By November of 1961, SNCC was organizing voter registration drives in Mississippi. SNCC also organized desegregation campaigns in Albany, Ga. known as the Albany Movement. In August of 1963, SNCC was one of the chief organizers of the March on Washington along with Congress of Racial Equality (CORE), the SCLC and the NAACP. John Lewis, chairman of SNCC was scheduled to speak but his criticism of the proposed civil rights bill caused other organizers to pressure Lewis to change the tone of his speech. Lewis and SNCC led listeners in a chant, to "We want our freedom, and we want it now." The following summer, SNCC worked with CORE as well as other civil rights organizations to register Mississippi voters. That same year, SNCC members helped establish the Mississippi Freedom Democratic Party to create diversity in the state's Democratic Party. The work of SNCC and the MFDP caused the National Democratic Party to mandate that all states have equality in its delegation by the 1968 election. From initiatives such as Freedom Summer, voter registration, and other initiatives, local African American communities began creating organizations to meet the needs of their community. For instance, in Selma, African Americans states the Lowndes County Freedom Organization. By the late 1960s, SNCC changed its name to the Student National Coordinating Committee to reflect its changing philosophy. Several members, particularly James Forman believed that nonviolence might not be the only strategy to overcoming racism. Forman once admitted that he did not know "how much longer we can stay nonviolent." Under the leadership of Stokely Carmicheal, SNCC began protesting against the Vietnam War and became aligned with the Black Power Movement. Former SNCC member Julian Bond has said, "a final SNCC legacy is the destruction of the psychological shackles which had kept black southerners in physical and mental peonage; SNCC helped break those chains forever. It demonstrated that ordinary women and men, young and old, could perform extraordinary tasks."